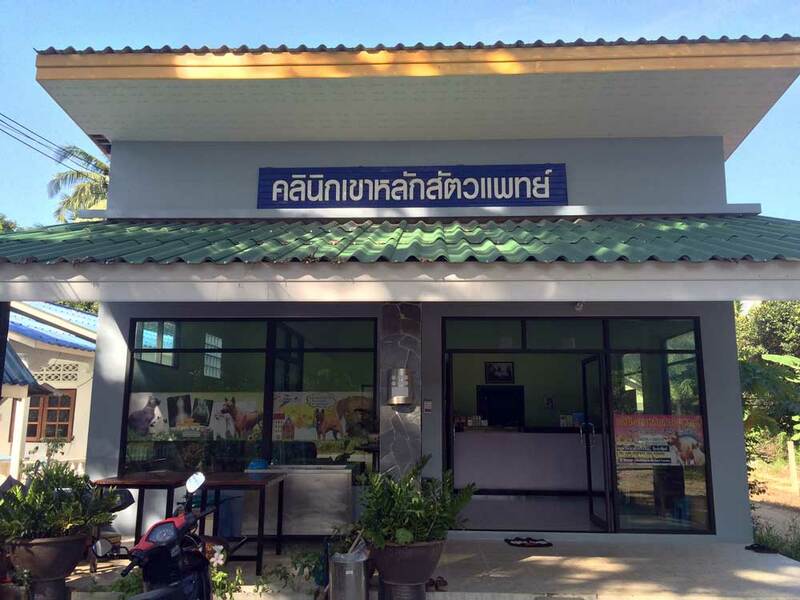 Khao Lak Vet Clinic. Meet Dr Sam, an animal's best friend. 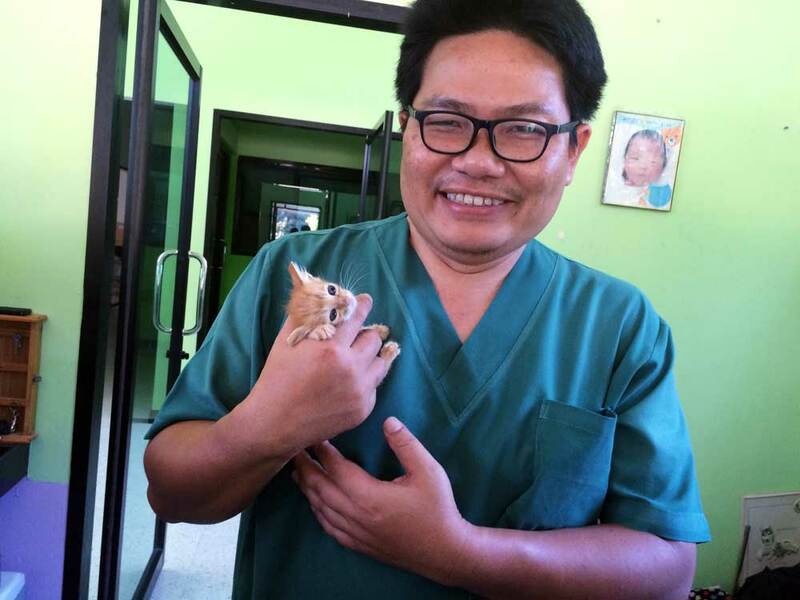 Dr. Jeerawat Kaewruechai or Dr Sam as he is more commonly known, runs the Khao Lak Vet Clinic. 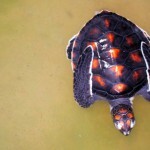 Dr Sam takes care of Khao Lak’s sick or injured pets and livestock for his living. 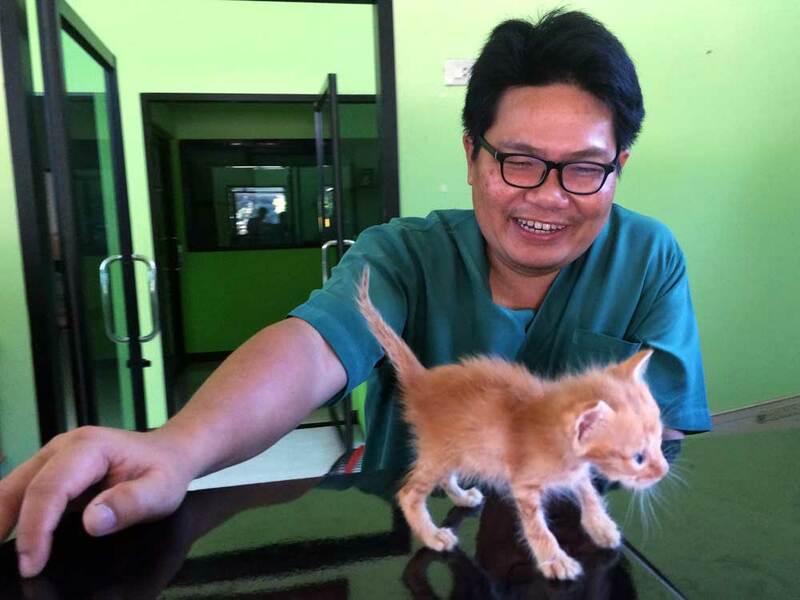 In his free time, when he has finished taking care of everyone’s beloved cats and dogs he likes nothing more than to take care of Khao Lak’s unloved, unwanted cats and dogs. 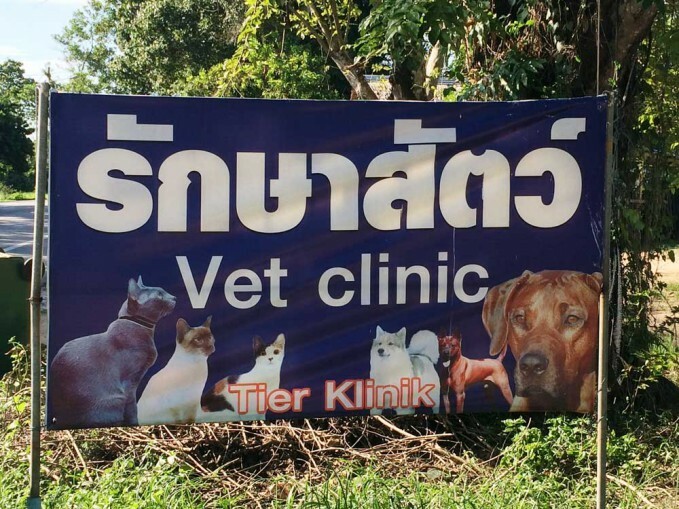 Being Khao Lak’s only veterinarian, Dr Sam is a very busy man. He also happens to be a very caring man, especially when it comes to animals. He’s also pretty funny too, but I guess a good sense of humour is required when you are also Khao Lak’s biggest Manchester United fan. Should you adopt a pet whilst in Thailand, guess what, Dr Sam’s also the person you will need to turn to should you wish to take your new pet home with you. Dr Sam’s animal clinic, situated in Khuk Khak just a few kilometres north of Khao Lak, is open Monday to Friday every week. Unless in the case of emergency, it is best to book an appointment at least one day in advance. House calls are also available. 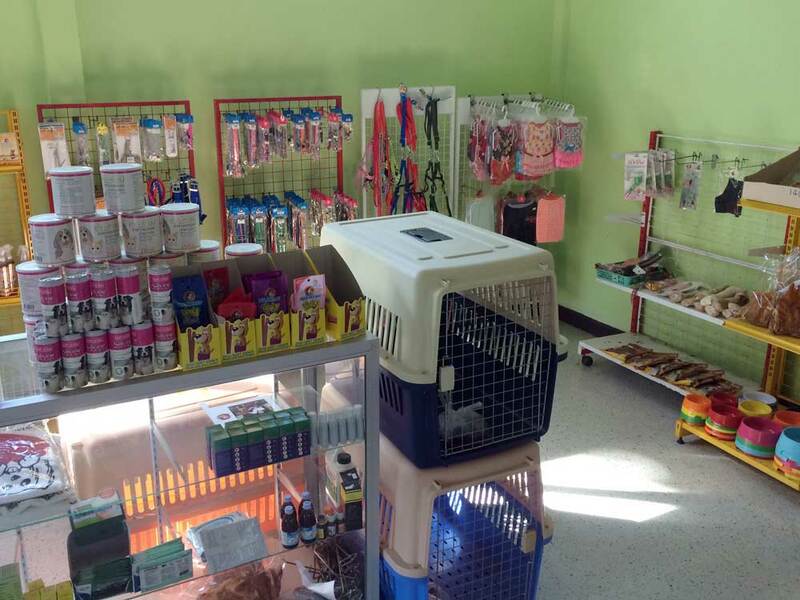 The clinic has a small shop for pet supplies too. You can contact the Animal Clinic on 076 410 642 or 086 272 7353 (mobile) for emergencies. You can also reach Dr Sam on Facebook by clicking here or send him an email using the contact form at contact form at the bottom of this page. It would be a bit of a cliché to say Dr Sam comes from humble beginnings. It would also be a vast understatement. Dr Sam comes from the humblest, poorest of beginnings. He was born in the north eastern province of Udon Thani, the youngest son of eleven siblings; six brothers and four sisters. His mother and father were very poor rice farmers. So poor that sadly when their children finished primary school, they could only afford for Dr Sam and one other brother to continue through high school. This was only possible because Dr Sam, or back then just Jeerawat, also received a 1,500THB (approx. 40 Euro) monthly scholarship from a Japanese Foundation. Without this assistance he would not have been able to fulfil his dreams of becoming a vet. As a kid Dr Sam always enjoyed a good relationship with animals. Coming from a poor family, as a child Dr Sam had to do his bit to help make ends meet. He would help take care of the farm’s buffaloes, feeding and caring for them. He was always the happiest when he could ride on or play with the buffaloes. On the flip side, he also was extremely sad if a buffalo became sick or died. This was the time he decided he wanted to become a vet, feeling the need to help animals. Again, like high school there was no way Dr Sam’s family could ever dream of sending their youngest son to university. It was only made possible from a scholarship from the Government Lottery Office which paid 20,000THB (approx 530 Euro) per year, for six years. This was still not enough, Dr Sam had to take out a loan and find part-time work as not to be a burden on his ever struggling family. He jokes about it now, but back then Dr Sam would do any kind of work he could find, selling ice cream, gardening and working behind the scenes on movie sets being the most memorable to him. Whilst studying and working to pay for his studies, Dr Sam somehow found spare time to head a group of between 50 to 60 student vets as president of the Veterinary Volunteer Project, providing medical treatment for animals in the rural and remote areas north of Bangkok. In 2001, Dr. Jeerawat Kaewruechai graduated with a Bachelors Degree from the Faculty of Veterinary Medicine at Kasetsarf University in Bangkok. Now he could really start to care for sick animals…. After university Dr Sam worked a five year stint as a Technical Sale Representative for several privately run veterinary companies, providing information and support to customers with farms. In 2007 a change in employment brought Dr Sam a step closer to Khao Lak and a step closer to how we know him now, helping the street dogs and cats of Phuket with the Soi Dog Foundation. Dr Sam moved to Khao Lak at the end of 2007 and opened his Vet Clinic. 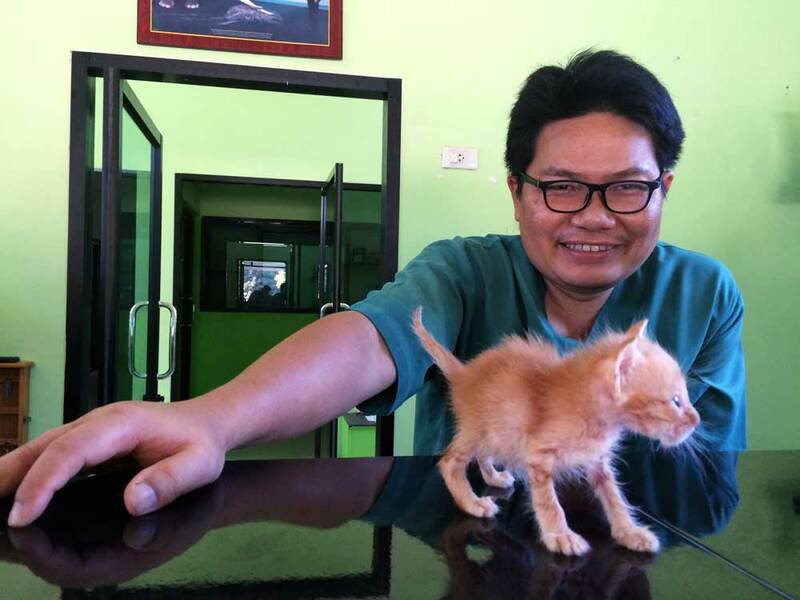 In opening his animal clinic he also brought to Khao Lak the traditional values he learnt as a child growing up in Issan, in the north east of Thailand. It wasn’t just about caring for people’s sick pets, it was about caring for the community’s sick animals including the strays and unwanted. Coming from a poor background, Dr Sam still remembers people with little giving food to people with even less. He treasures this act of giving. This community spirit of not simply taking, before you take you have to give. I work a lot with the Moken community on Koh Prathong, to treat their sick animals and neuter the strays for free. It’s an amazing feeling you get there, the Moken village know you are there to help and every house prepares you one dish of food as thanks. You can be rich, own a car, or a house but you can never buy this feeling. Every Saturday afternoon Dr Sam helps the Khao Lak community. In total he visits 10 local temples. The Buddhist temples are where the local people leave stray animals. As well as neutering strays, Dr Sam provides vaccines, skin care and food for approximately 200 animals, a number that is always increasing. Rabies is still present in Thailand and Dr Sam works very hard to vaccinate all the dogs in the temple against the disease. To provide the total care needed to all the animals, he admits it is well beyond his budget. Dr Sam’s clinic also has supplies for pets. Often Dr Sam has to prioritise what he can do. His primary concern is population control through sterilisation. This he feels is the biggest problem he’s faced over the last seven years. One female dog can give birth to up to ten puppies every year. Next on his list is vaccination, to help protect his community against rabies. Finally, if there’s any time or money left he will provide food and general health care for the animals. Dr Sam also works hard doing similar work on Koh Payam with All For Villages. 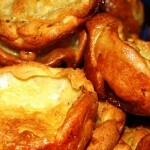 As well as the feel good factor Dr Sam also likes a challenge. Visiting a remote island such as Koh Payam, in the poring low season rain with limited electricity supply, miles from his clean surgery and home is the kind of challenge he buzzes off. Though he’ll just laugh it off saying you work hard and adapt to the different conditions. You can sit in your office, taking it easy, earning good money but Koh Payam is exciting. It is hard work but you’re rewarded with a very good feeling. Over the last seven to eight years he has helped around 800 animals through All For Villages. The local vets in the Ranong area will charge up to 1,500 THB to neuter a female cat. Through All For Villages the cost is around 650 THB. Should you wish to take a pet back to the EU there is quite a lot of preparations to consider, but Dr Sam can assist you through the process. The procedure takes a long time so it is advised to plan well in advance of transporting you pet. It is also quite expensive too. Please don’t ask for any short cuts or offer any bribes as Dr Sam will only work the proper way. Your pet will first need a microchip implant prior to a rabies vaccination. For puppies the microchip can be implanted when when the dog is three months or older. Next comes the rabies vaccination. A blood test needs to be taken 30 days after the rabies shot. 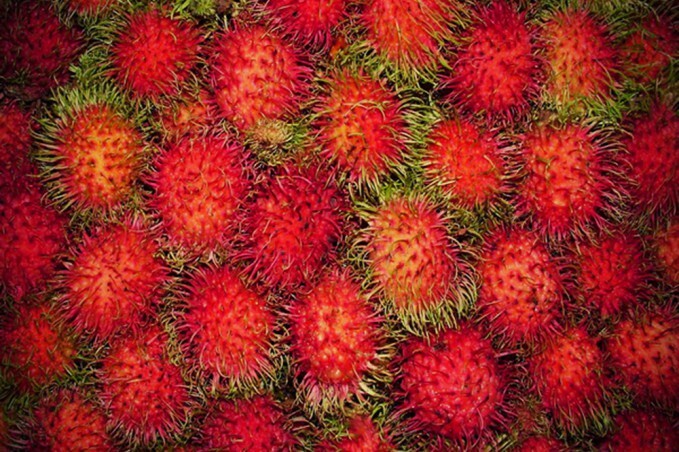 The blood test must be conducted by an EU approved laboratory. Dr Sam can help take care of this for you. There is then a further 90 days wait after the blood sample taken by the lab. To date this service has proved very popular, with around 50 successful cases. It seems a lot of visitors Khao Lak fall for their ‘adopted’ street dogs or cats. Dr Sam is happy to be involved too, as ever, all he wants is a better life for these street animals. Its wonderful to see Dr. Sam recognized in his local community for all his hard work and dedication. 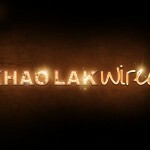 Thank you Khao Lak Wired for featuring him in your magazine. Lets hope more people in the community can get behind the street dog programme funded by All for Villages, who work closely with Dr. Sam to reduce the street dog and cat population in the area.